Home | VAHL - Blog | What is so special about Goat Milk Soap? What is so special about Goat Milk Soap? Because it's just BETTER... and here's why. First and foremost, Goat milk is hypoallergenic, packed full of vitamins, antioxidants, healthy lipids, anti-inflammatories and so much more. Out of many common or ordinary substances, milk is the closest in pH to that of human skin. Because of this it's naturally a fantastic product ON our skin. It does not strip, dry or rid the skin of things that typically protect it and usually removed with other soaps. It’s gentle, natural, soothing and restorative— especially for the skin types and conditions that require it. It’s simply the best option for all skin. Goat milk soap is ideal for infants, those who suffer from eczema, psoriasis, acne, dry skin or any type of dermatitis (irritation/inflammation/pain/itch --poison ivy/poison oak, etc). It’s packed with the things that our skin so desperately craves. Because it needs it and we typically take it away or use products that exacerbate it. This may bore many of you to tears. So if you are not like the closet geek I am, you might want to stop reading and ignore the next big scientific blurb here below. So, how do you know that I'm not blowing smoke up your bum about goat milk? Well, this could be a huge tangent I go off on and try to explain. In fact, I had a mandatory course in nursing school focused on this very thing. It was titled, "Theories and Research." At the time, I had absolutely no earthly idea of how important that course was. Looking back, I can now say that I feel it should be part of High School Curriculum and even further expanded upon in general Collegiate Curriculum. It's VITAL in this day in age, as it is the means in which the majority of the world obtains any and all knowledge/information. More and more "experts", "professionals", "physicians", "influencers" or other self-righteous/all-knowing individuals are born daily. They're multiplying exponentially. They are creating content and posting it on various media outlets by the hour. Where thousands of followers believe anything and everything that they post. I could be writing an article about make-believe diseases and how to get rich without any first-hand knowledge of anything closely related to it. I could imagine it up and use "big", scientific "sounding" words to describe it in my article, and I would undoubtedly make believers in my jibberish make-believe "facts". Anyway... that is a soapbox that I could go on and on about like I said. So I'll leave it at that. But please know, there are ways to CHECK YOUR FACTS. So DO IT! Don't blindly share something you thought was cool or shocking without knowing that it's not false. These "experts" don't usually source, and those that do, don't expect that you'll even check them if/when they do. It creates what I call, internet diarrhea and it's ridiculous. But guess what? This nerdy chick fact checks. I fact check so hard, that I go down rabbit holes and cannot figure out where my time and day went. All, because I have endless ways/methods and means to validate and learn. So, if you want to spread/share/inform, I urge you to look into cited sources for credibility and data validity. I would also like to leave the disclaimer here that I will not formally source every single item described here. I'm utterly opposed to the academia and effort that requires. But I will certainly notate the DOI or link for easy reference so that others may fact check or delve further as they please. So Goat Milk soap obviously has milk in it, right? Right. The pH of 7 is considered neutral or "balanced". **It's also the reason that my favorite number is 7. Yes, I'm freaking weird and nerdy. ** You can see that milk, urine, and saliva are slightly acidic on the pH scale at around 6, and soap/toothpaste coming into range at a pH of 9. We can see that 6 is obviously closer to 7 than 9 is to 7. This is a very broad, and basic explanation (get my pun there ha!). So, milk is closer to neutral than standard soap is. Milk a tad acidic & soap is basic. So, why goat milk versus cow? As there are various breeds of goat, there are also various breeds of cattle. The majority of bovine milk consumed in the United States comes from the Holstein breed (dairy cattle). This is largely in part due to collective taste preference. In a large study conducted by the USDA, it was determined that goat milk was closer to neutral pH of 7 than Holstein was. Jersey cow milk was closer to neutral than both of them, but it is less commonly sold and consumed. See chart. Goat milk differs from cow or human milk in having higher digestibility of protein and fat, alkalinity, buffering capacity, and certain therapeutic values in medicine and human nutrition. Goat milk and cow milk contain substantially higher protein and ash, but lower lactose, than human milk. Goat milk has smaller fat globules and more short and medium chain fatty acids (MCT) than cow milk, which have the unique metabolic ability to provide energy in growing children and treat malabsorption patients. So, in summation without boring even myself here- I'm going to give to quote the conclusion of many validated, scientific studies have determined regarding the breakdown and comparison of milk sources. Goat milk has some unique differences in several important constituents and physical parameters, including proteins, lipids, minerals, vitamins, carnitine, glycerol ethers, orotic acid, enzymes, fat globule size, casein polymorphisms, which are significant in human nutrition. So why does this matter? Because we use soap daily! Ok...I hope you do. At least on your hands...multiple times daily. Gross, don't tell me if you're funky. You should wash them daily! For real. I'm not even what you'd consider "crunchy", or all-natural, organic/holistic by any means, either. I'm all for cleaning with straight up bleach, soaps to rid dirt and oil... you name it when it comes to cleaning. However, I also have to consider that my face is only getting older and it's overly dried out on a consistent basis and that there MIGHT be a reason goat's milk is rising in popularity and the number one consumed milk in developing countries. 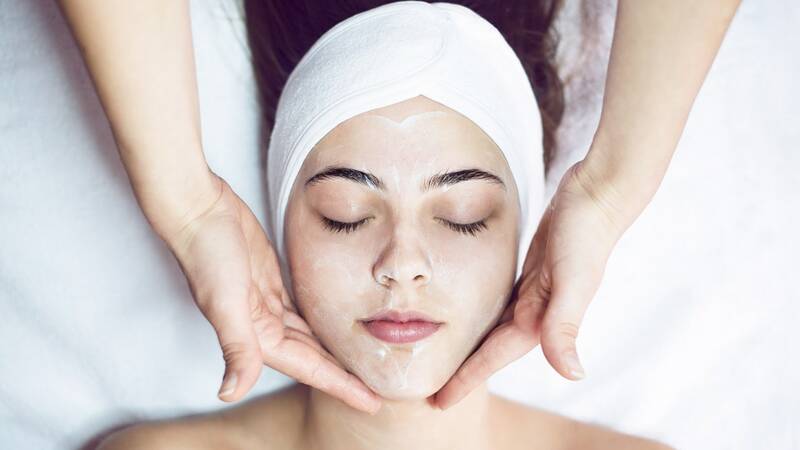 Alpha-hydroxy and lactic acids have been used for exfoliation in beauty products for years. They are both naturally occurring in Goat Milk, just at much lower levels. Dr. Dennis Gross a, NYC Dermatologist recently told ALLURE that you don't have to see peeling to see or have exfoliation results. He explains that acids at lower strengths are less irritating but also effective. "As the acid dissolves the cement between skin cells, you may have thousands of them coming off at the same time—but the shedding is still invisible to the naked eye," says Neal Schultz, a clinical professor of dermatology at Mount Sinai Medical Center in New York City. This combination of high-fat content provides moisture, but also gently cleanses and exfoliates, to safely remove dull, dead skin without causing damage. This results in dewy, supple, fresh, glowing, youthful skin. Trade traditional soap & body wash for a high-quality, luxurious, hand-poured and cut alternative. It will provide you with adequate moisture, cleansing, anti-aging benefits, and more. It is a refreshing little slice of heaven that you didn't even realize you needed. Cool Article that describes Beta-Casein Protein differences in milk. Goat Milk: Composition, Characteristics.... (PDF Download Available). Available from: https://www.researchgate.net/publication/282023189_Goat_Milk_Composition_Characteristics_Encyclopedia_of_Animal_Science [accessed Apr 10 2018].